Ventas, Inc. (NYSE: VTR) is currently experiencing the negative repercussions of a supply and demand “mismatch,” Chairman and CEO Debra Cafaro explained during the company’s fourth-quarter and full-year 2017 earnings call on Friday. Specifically, the Chicago-based real estate investment trust (REIT) felt occupancy pressure in 2017, and the pressure is expected to continue well into 2018. A harsher-than-usual flu season hasn’t helped occupancy numbers, either. Still, despite a hit to its near-term profitability, the REIT is well-positioned to make new investments this year, according to Cafaro. “If we see investment opportunities that are attractive and high-quality, we have the capacity and the ability to execute on them,” she said. Ventas reported a fourth-quarter 2017 revenue of about $895.3 million, which beat analysts’ expectations by approximately $19.6 million. Ventas’ fourth-quarter FFO of $1.03, meanwhile, was in-line with analysts’ expectations. The REIT faced pressure from new supply in 2017, which resulted in the full-year same-store occupancy of its SHOP (senior housing operating portfolio) falling 180 basis points from 2016. Ventas’ SHOP same-store cash NOI, meanwhile, is anticipated to drop in 2018 due to the full-year occupancy impact of a severe flu season, in addition to new supply. “The elevated levels of new deliveries we observed in 2017 are expected to further accelerate in 2018, with new openings approximating 3% of inventory in our trade areas,” Ventas Executive Vice President and CFO Robert Probst explained on the earnings call. Because of these anticipated new deliveries, as well as the severe flu season, Ventas expects that its same-store occupancy in 2018 will fall in the range of 200 basis points, compared to 2017. Still, executives remain bullish with respect to the REIT’s future in senior housing. “Although the current supply-demand mismatch is compressing near term profitability, we continue to believe in the long-term opportunity in seniors housing and in our excellent market position with our high-quality real estate operated by a select group of the nation’s leading care providers,” Probst concluded. On the earnings call, Cafaro provided an update on Eclipse Senior Living (ESL), a new senior housing operator that is owned in part by Ventas and which the REIT expects will thrive in the senior housing marketplace. “ESL has already become a sought-after manager in senior housing and we’re delighted to back industry veteran Kai Hsiao and an experienced team of executives in this highly strategic new management company,” Cafaro said. Cafaro also expressed confidence with respect to Ventas’ ongoing relationship with Brookdale Senior Living (NYSE: BKD). Receive industry updates and breaking news from SHN. The impending wave of baby boomers into the senior population will bring more than just massive numbers of potential residents. This isn’t merely a question of bulk. It’s a question of breadth, with a wider range of seniors becoming inherently trickier to serve. Health care costs for seniors are soaring, health levels are plateauing and experts across the care continuum are searching for fixes to both. The answer could be found by going back to the basics in medical care. The world is smart. Smart watches. Smart phones. Smart homes. Smart consumers. 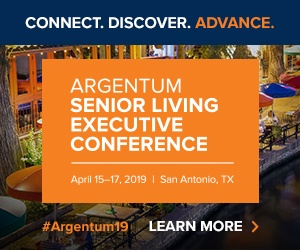 As the smart tech revolution grows, senior living operators are increasingly incorporating this technology on a device-by-device basis to improve specific aspects of the care and living experience. Senior Housing News (SHN) is the leading source for news and information covering the senior housing industry. SHN is part of the Aging Media Network. © Senior Housing News . All rights reserved.